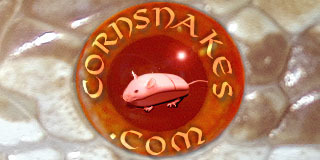 Rich Z's Blatherings Since Connie and I have retired the SerpenCo business, topics here will focus on topics of a more personal and general nature. Thanks for the edit. While I sure don't want to line breed good amels for 25 years I do want to produce some nice Candy Canes before I get senile, or more senile than I am already. What I want to know is if there is another morph, or combination of morphs, to whiten the background. While checking out the classifieds on Fauna I came across an ad on 10-13 for high white extreme reverse Okeetees. The gentleman showed a picture of a male he called a high white Ultramel that looked pretty sweet. While it wasn't a perfect white background, it is obvious that he didn't spend 25 years to develop that morph. There has to be a way to produce high white clean backgrounds, especially since there are several morphs available to us now, like charcoal and cinder. I'd like to know who is using other morphs to produce a white background, assuming they want to share the info. It shouldn't be a secret, since Candy Canes won't surpass Palmettos or even the scaleless on the list of expensive corns. I do want to thank MysticExotics for sharing her info. While I never had any Whiteouts, it's obvious that a combination such as the one that produces them may be useful, but my knowledge of genetics in very limited. Sorry, but no, I didn't come across any shortcuts to my perfect ideal of a Candy Cane. Honestly, I would not have pursued anything from the Okeetee line, since that line tends to produce sometimes extremely attractive examples of corn snakes with brilliant orange backgrounds. I would have considered that a step backwards. The "reverse" Okeetees referred to the white borders around the blotches in an Amelanistic, that would normally be black in a non-amelanistic, and had nothing to do with the background color being whiter than normal. I think you may need to look for INDIVIDUALS, and not LINES for your project. I've already started looking for individuals, but they are hatchlings and I need to grow them out before I know if I could use them. However, any nice looking amel is a good pet for someone, so all is not wasted. When looking, look for the absolutely least amount of orange tinge directly behind the head. That appears to be an indicator of how much orange overall the animal will get in the background color when it matures. At least from my prior experience, anyway. You would think that there is a single gene that would control the on/off switch for orange in the background color, wouldn't you? I have been using that criteria when looking for Candy Canes, and who knows I may run into one or two eventually. I always say you find your best deals on a house, car, or boat at a divorce sale. I run into some really nice corns when someone is getting out of the business, otherwise they would never part with the awesome breeders. Say someone wanted to make the opposite of a candy cane and have a corn with black saddles and white back ground similar to a cal king. Would you put anery to a miami then breed for whiter backgrounds or would you put anery to an okeetee? That isn't quite the opposite of a Candy Cane, still having a clean white background and colored saddles. I would love to see such a corn, but don't know anyone who would put in years of work to produce it. The problem is, like the little Dutch boy with his fingers in the dike, you just about solve one problem and another appears. Another way of saying it is that you have multiple battles raging at the same time. Cleaning up the white is hard enough, then add to that trying to maintain the dark saddles without compromising the white background. I think that if I was a young man,or woman I would take a different approach, and seek the clean white background first, perhaps experimenting using Whiteouts, charcoal diffused amelanistic, and adding saddle colors. Unfortunately, you will have a lot of normals, or hatchlings not suited to keeping for the project, to sell off. Then you need to keep a good number of possibilities to grow to breeding age. Of course, you could also cross your corns with other snakes to bring in color patterns, not that I would encourage it, but some don't mind the dubious ancestry. I see Pueblacorns, Sinacorns, and Lord knows what else advertised already. True not really the opposite of a candy cane but similar. If you achieved the white background first then went for saddle coloring you, would probably have to go back and clean up the background again? You would definitely want to preserve the gains you made by selectively breeding good specimens. And it's possible that an excellent prospect will come along for sale to enhance your breeding efforts too. In the past my son was my breeding partner, and he had wholesale buyers, so we broomed out all the corns that were not held back for our breeding projects. Now that he's sold out all his snakes I'm on my own. The wholesalers don't want 20 or 30 corns, they want 300-400 at a time. Now I have to be more selective in the pairings, so I don't hatch a lot of what I call transition corns, stepping stones to what morphs I actually want to produce. Hmm, that could be an interesting project, but plan on the long haul. Personally, I would be inclined to start with the best reverse Okeetee lines I could find with the intention of crowding out the blotches with the expanded borders. The hopes there would be that normal colored (meaning NOT amelanistic) forms from this line would have those expanded borders showing up as black and obscuring the normally red color of the blotches with black. Then go for the background color heading towards white. You might have to have parallel lines running with each having a different goal, and then when you got each line as close as you think you could get, then start merging them, hoping you can get the best of each line showing up in subsequent generations. Throwing in Anerythrism, of course, could be a big help, but Anerythrism seems to cover over the normal colors rather than actually remove them. If you remove the anerythrism the coloration will still be there. I actually had a line of Anerythristics that were notable for having very solid black blotches to them. Wish I could remember what line they came from. Seems to be that it was not something I would have expected from the normal colored lines it came from. Maybe it will come to me sometime and I'll make note of it when (if?) that happens. I might actually have pics of it somewhere in this personal forum I have here. But like I said, plan on a VERY long haul with a project of this nature. With the understanding that genetics (and Murphy's Law) might be fighting you tooth and nail the entire time. So essentially you would have a normal with thick black borders that crowd out the blotches and has a high white background? I wasn't really planning to take on this project but that might change now. A weird series of events took place today and I'm receiving a female snow tessera that was produced by SMR. One of the parents was a high white RO. I could try doing a line of normals with the thick borders and a line of anerys. I already have a 2yo male anery with solid blotches and no yellowing yet.